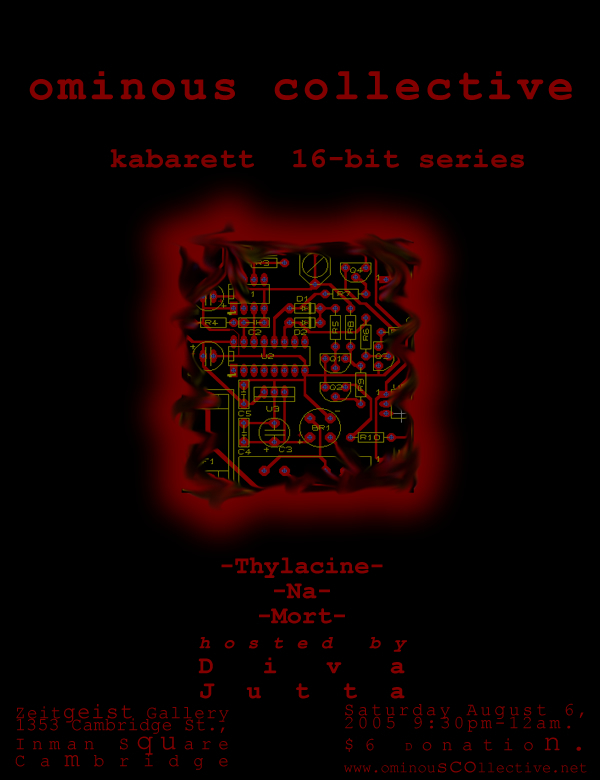 Zeitgeist Gallery on August 6th four our monthly installment of Kabarett 16-Bit! Lords of Acid" by Nomasonha Magazine. MorT makes music on his computer. MorT makes peanut butter and jelly sandwiches with his hands for the people. MorT falls over alot. Gas mask, Japanese wrestling and rubber gloves. Came to in Providence, RI, almost died in NYC. Self-nursed back to health in Boston. And, of course, your charming hostess, Diva Jutta will be there to cuddle you through the night.